Why Cinco de Mayo is celebrated? 'It is Mexican Independence Day' - this was the popular answer that I got when I had an informal survey around my neighborhood. Well, surprise surprise, it's not! It's the day when Mexican army had a remarkable and completely unthinkable victory over the mighty French army in the Battle of Puebla on May 5, 1862. Maintaining USA's tradition of multiculturism, the day is not just a Mexican celebration in US but famous among non-Mexicans too. 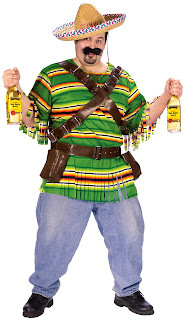 PartyBell has some beautiful costumes for the Cinco de Mayo celebrations in Mexican flavors!